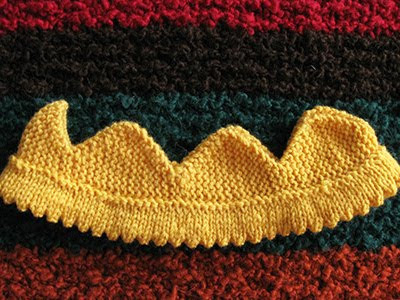 List of knitted baby headband patterns free on the Internet. Baby headbands are quite easy and quick to knit up. It is basically a narrow strip connected at both ends to form a ring to fit the baby’s head. There are various ways to construct a narrow strip. Knit it flat or knit in the round. Variations and themes are achieved with the choice of yarn, yarn colours, and the types of embellishments. I kept the following patterns because of their varied constructions. This little headband looks like a turban with a simple twist. It is a quick knit. Need to know how to do ribbing and a simple cable. Use the whip stitch to attach the 2 ends together to form the band. Or use a provisional cast-on so that the 2 ends can be grafted together using the Kitchener stitch to create a seamless band. 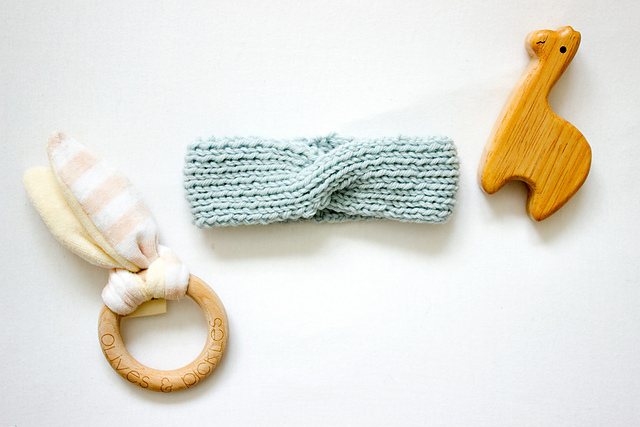 The designer Allison has three more baby headband designs in her Ravelry store. The Savannah bow is a free pattern from Blue Sky Alpacas. Need to know how to knit, purl, and knit in the round. 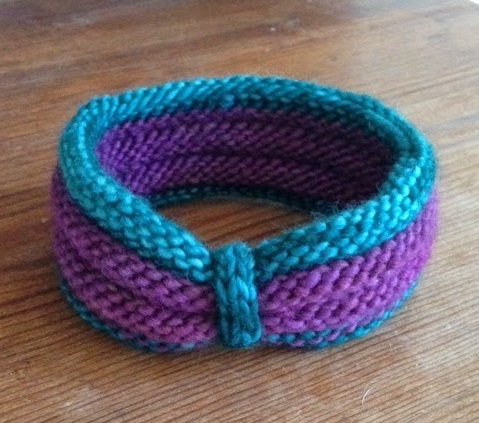 Knit the headband in the round using seed stitch. Knit a rectangle using seed stitch and shape it by wrapping yarn tightly in the middle of the rectangle to create the bow. Attach the bow to the headband to finish the look. 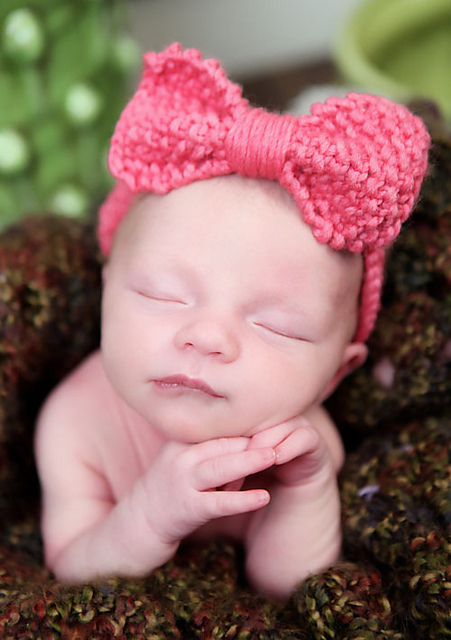 This cutie pie headband uses a simple stockinette stitch. The squishiness of the band comes from the fluffy yarn used. Knitted sideways and joined by sewing the 2 ends together. Use a provisional cast-on to graft the 2 ends together using Kitchener stitch to create a seamless band. Sew on the button and shape the headband. The pattern is available in two sizes: 0-3 months and 3-6 months. 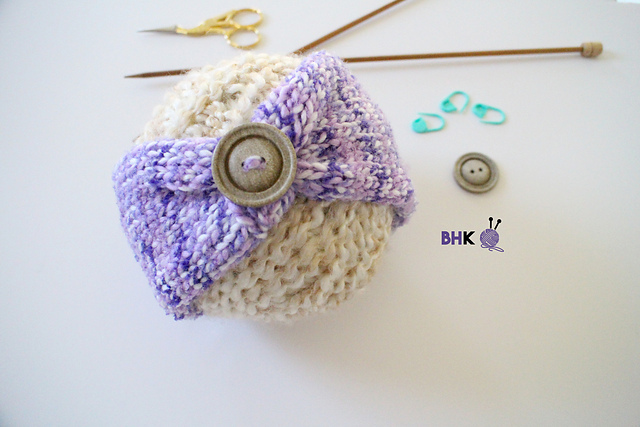 It is available at B.hooked Knitting’s website and the designer provided 3 videos to show how to make this headband. This floral band starts and ends with a narrow garter border sandwiching a stockinette band. Create different colour combinations by using different coloured yarns. The designer made some flowers as embellishments. 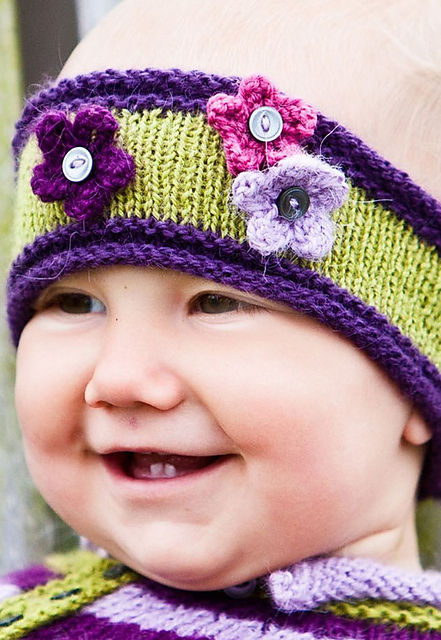 Most knitted baby headbands are designed for girls. However, this one is more flexible. I can make it more suitable for boys by choosing different colours and sewing on buttons instead of flowers. This is a gypsy-inspired pattern. Worked in the round into a single piece by purling 3 rows and knitting 3 rows alternately. A short i-cord wrapped around the band gives the band the shape. Changing the colour combination of the alternate rows make endless designs. 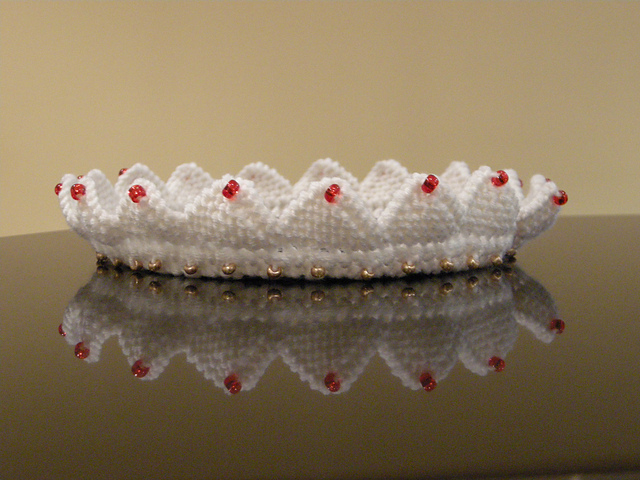 A knitted crown for a little boy. I think this is quite easy to knit. 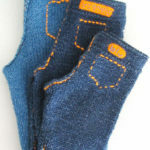 The size can be adjusted as it is being knitted up. Need to know provisional cast on, garter stitch knitting and increasing and decreasing. Dani’s circlet is a female version of a crown, for a princess. Need to know how to add beads when knitting. If you like this list, you might also like my knitted baby bonnets list.